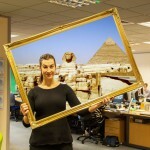 There’s no doubt the entries for our Ultimate Holiday Snap of 2011 were amazing but picking the winner was tough! We finally decided Lisa Renshaw’s photo taken in Ibiza last year at her best friends Hen Weekend was our worthy winner! This snap makes us wants to pack our bags, get a group of people we love to spend time with and board a plane! Well done Lisa!!! Stephen Hutchinson sent in some of the most beautiful photo’s from his travels we have ever seen! They are extremely high quality and look like they should be on the front of a brochure!!! This stunning shot of Smugglers in Zanta has captured the beauty of this hot spot perfectly and we felt Stephens pictures should not go without a prize!!! Congratulations Stephen, you have been awarded our runners up prize of £100 off your summer 2012 holiday with us! Hopefully you will send us some more stunning photos like this one for us to day dream over! But thats not all! One other picture stood out to us! It sums up the perfect holiday! Laid, relaxed, chilled out, in the sunshine, without a care in the world! Antoinette Blundell shared her picture of her “Little Chappy” with us and we felt he summed up our perfect holiday! You can’t help but want to be laid in that pool, enjoying that sunshine! Congratulations Lisa! You have won £100 off your summer 2012 holiday with us! We would like thank everyone for their entries and to everyone who commented, shared and liked the photos!